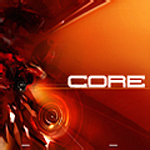 Core shows you the inside, the clockwork and machination of destruction. Tek Infektion lives with the machines and knows the horrors they wish upon us… The CORE of Core is the beat workout and the PULSING bassline that stomps you into submission. A true dance floor darkstepper’s dream!